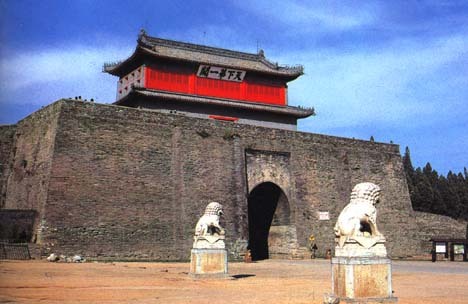 Ancient Chinese started building fortifications as early as the eighth century BCE to help in their military efforts against the nomads to the north. 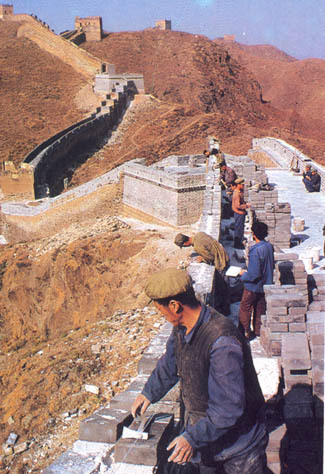 The first emperor of the Qin dynasty (221-206 BCE) connected the existing walls into a single system, known as the Great Wall. 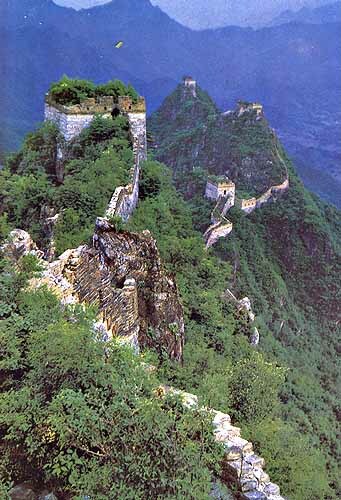 The Great Wall was periodically rebuilt, with most of the current wall dating to the Ming dynasty (1368-1644). 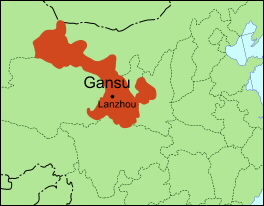 The Great Wall extends about 7,300 kilometers (4,500 miles) from the Shanhai Pass on the east coast to the Jiayu Pass in modern Gansu province. 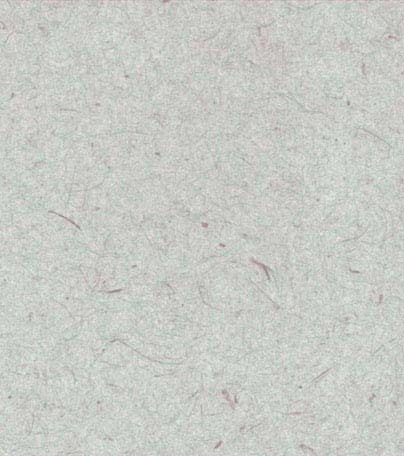 To the left is a picture of the Shanhai Pass (which means "the pass where the mountains meet the sea"). It is the eastern-most point of the Great Wall. Which do you think proved more difficult, the Wall's construction and maintenance or the stationing of troops along it? Below are two pictures of the Great Wall, one showing a section in decay and the other one undergoing renovation to encourage tourism. How effective do you think this kind of fortification would have been in pre-modern times? What do you imagine would have been the most efficient means of communication along the Great Wall in times of war? The picture to the left shows the Jiayu Pass in Gansu province, the westernmost point of the Great Wall. 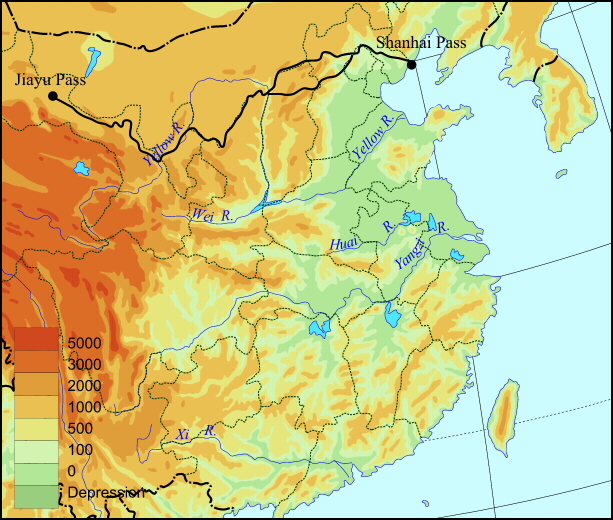 The high mountains in the background mark the Tibetan Plateau.